Recently I became the proud owner of two new important informational brochures from the American Association of Patriots. 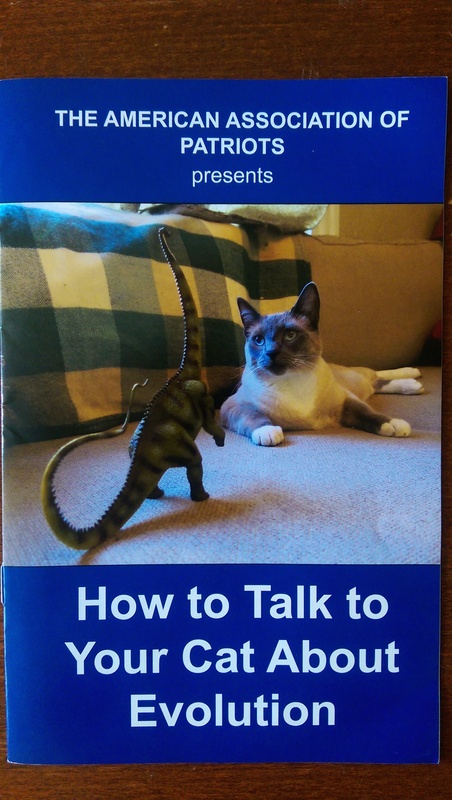 How to Talk to Your Cat About Gun Safety and its companion, How to Talk to Your Cat About Evolution. As you can see, they are a hit in this house. Do I need to talk to my cat about gun safety? Do cats really play with guns? So my cat finds a gun, what’s the big deal? What age is right to start talking to my cat about gun safety? How can I prepare my cat for the threats they will commonly face? 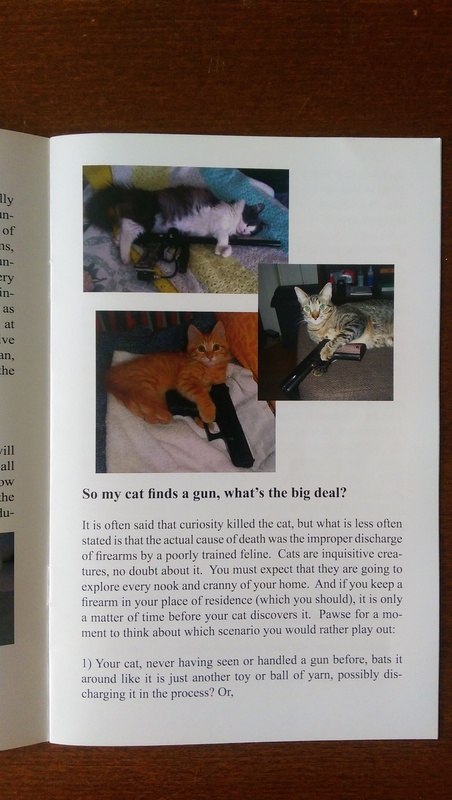 Even a cursory search of the internet will turn up dozens of pictures of cats playing with guns, almost all of them handling them in an unsafe manner…It is often said that curiosity killed the cat, but what is less often stated is that the actual cause of death was the improper discharge of firearms by a poorly trained feline. We’re all sleeping sounder now that we’ve had that talk. 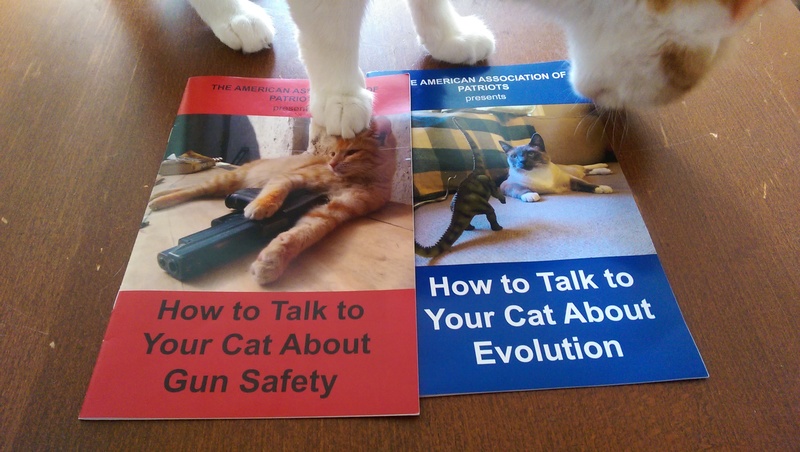 After their successful cat gun safety campaign, the American Patriots published a follow-up: How to Talk to Your Cats About Evolution. 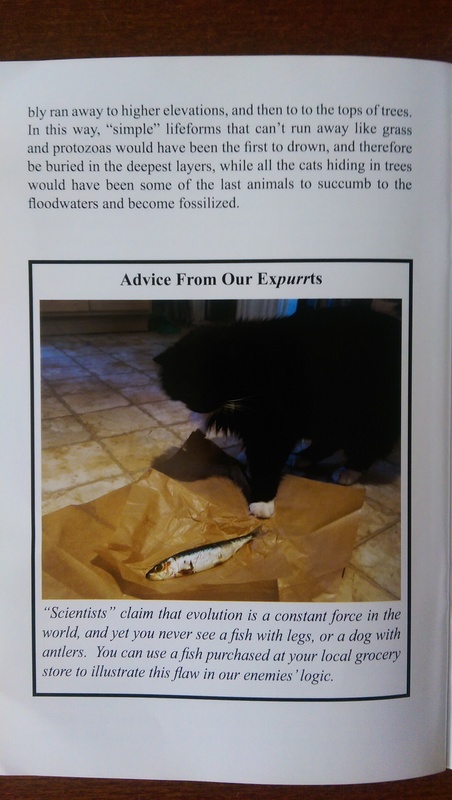 I had no idea that my cat’s faith in Creationism was at risk, but this pamphlet quickly brought me up to speed on what I could do about it. Many cats love to lay on paper. Try opening several bibles to Genesis and place them on the floor or on a table. Your cats will find the books irresistible and absorb some of God’s wisdom in the process. Both timely and important brochures are available through a variety of reliable internet vendors. If you have cats, or just know some, pick up your copies today. Thank you, patriots.